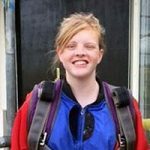 Eve Rushmer, one of our amazing Self Advocates, celebrated her birthday by doing a Skydive in aid of Chromosome 18 Europe. Chromosome 18 Europe, Summer Fete at Eden Square Urmston Manchester. Wonderful awareness raising and fundraising – Thank you!